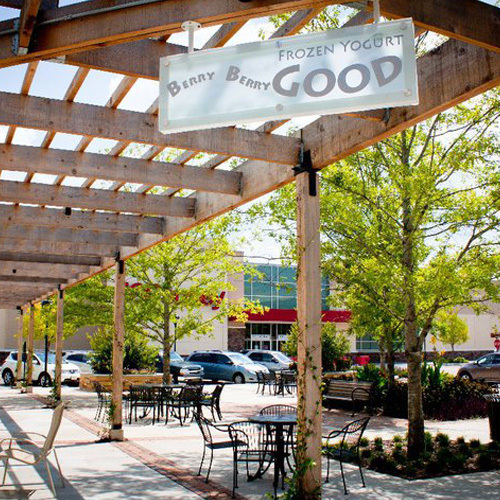 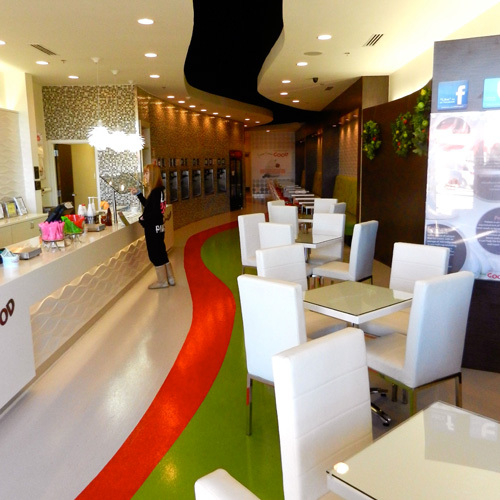 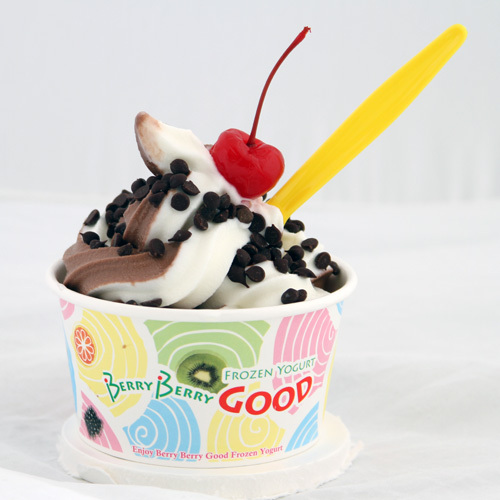 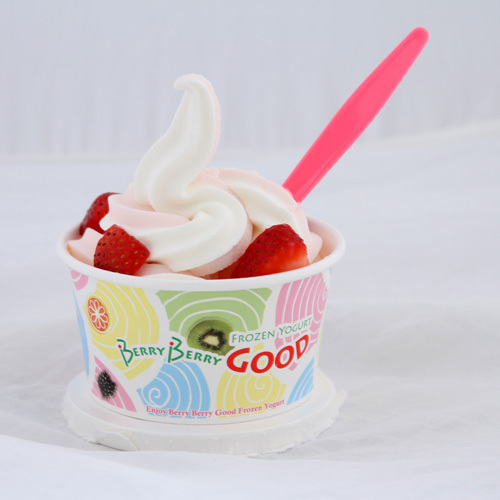 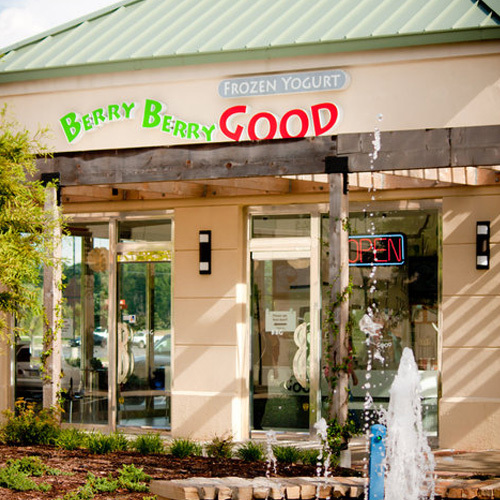 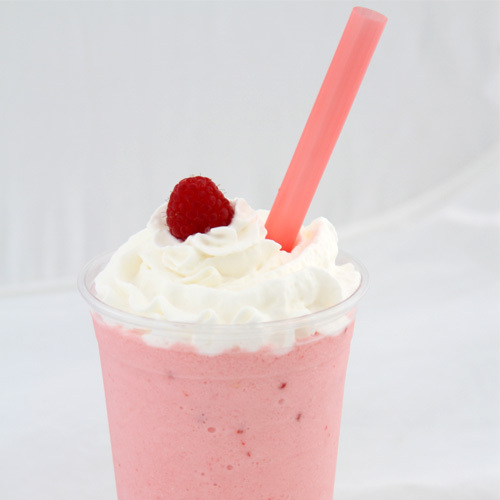 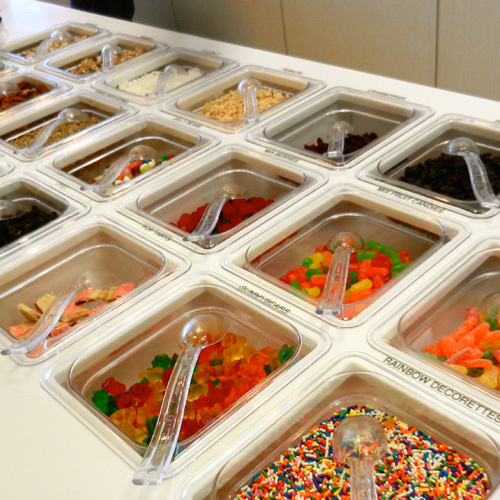 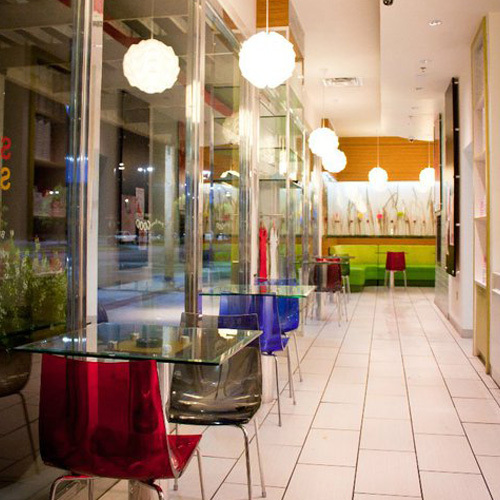 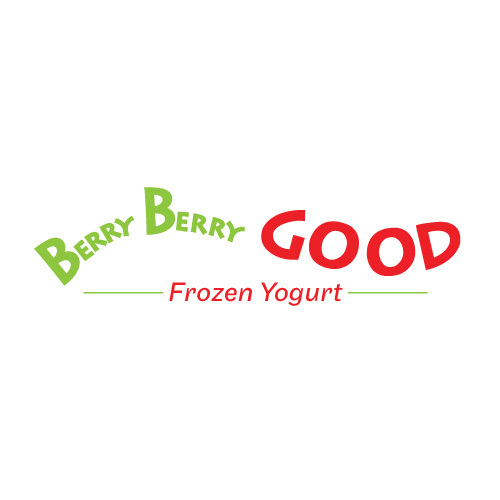 Berry Berry Good is a frozen yogurt shop located in Flowood, Mississippi. 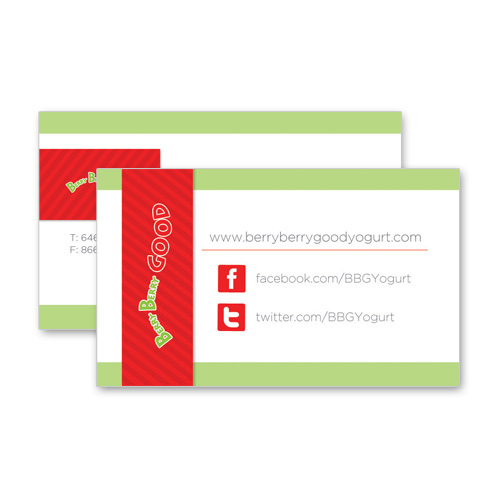 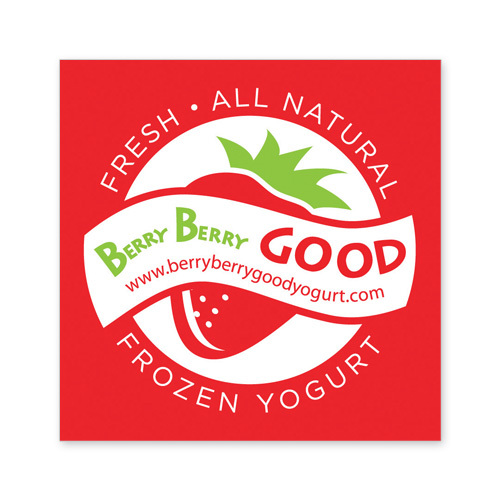 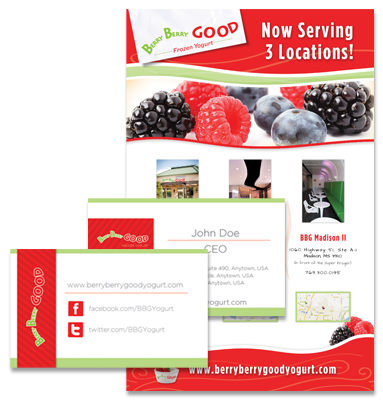 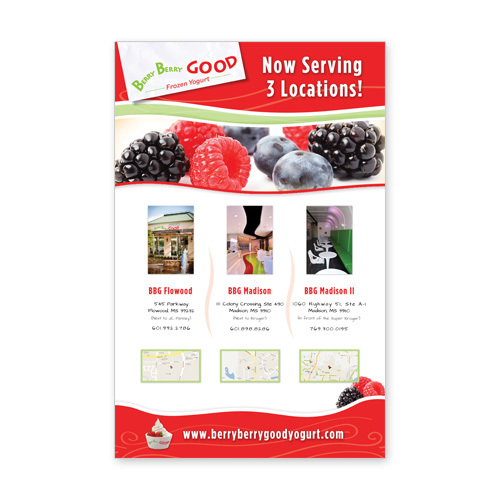 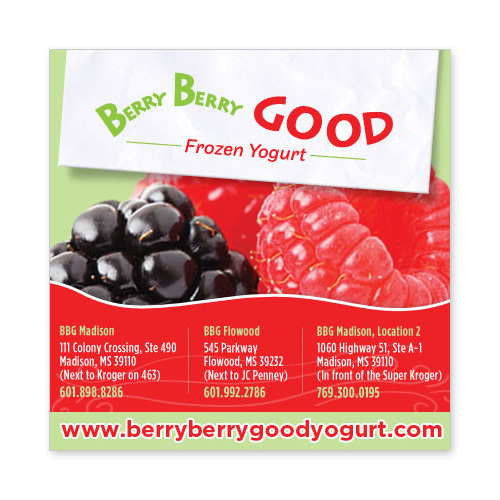 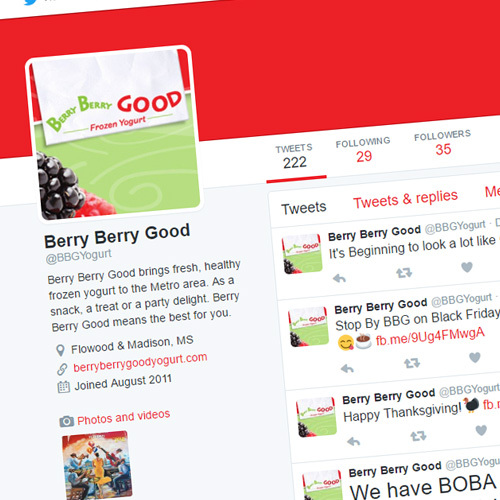 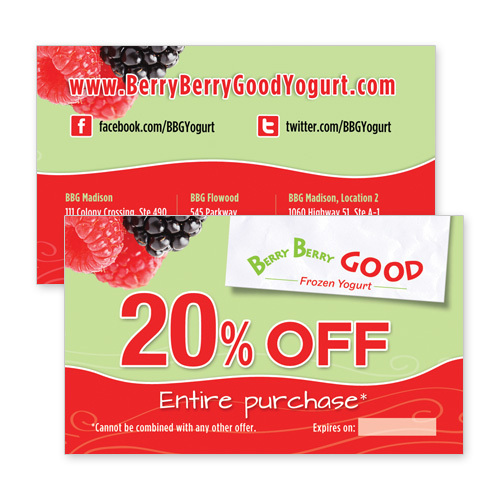 Think Webstore created several things for Berry Berry Good, such as their logo, print ads, stickers, business cards, and push cards. 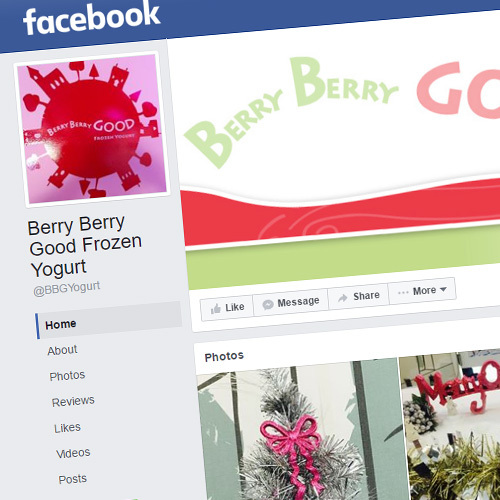 Berry Berry Good also had photography done by Think Webstore, and their Facebook and Twitter were managed by TWS.